(May 4, 1929 - January 20, 1993) was an iconic Academy Award-winning actress, fashion model and humanitarian. Raised under Nazi rule during World War II, Hepburn trained extensively to become a ballerina, before deciding to pursue acting. She first gained notice for her starring role in the Broadway production of Gigi (1951). She was then cast in Roman Holiday (1953) as Princess Ann, the role for which she won an Academy Award. She was one of the leading Hollywood actresses during the 1950s and 1960s and received four more Academy Award nominations, including one for her iconic performance as Holly Golightly in Breakfast at Tiffany's (1961). In 1964, she played Eliza Doolittle in My Fair Lady, the critically acclaimed film adaptation of the play. Hepburn starred in few films in the 1970s and 1980s and instead devoted her time to her children. From 1988 until her death in 1993, she served as a UNICEF Goodwill Ambassador and was honored with the Presidential Medal of Freedom for her work. In 1999, she was ranked as the third greatest female star of all time by the American Film Institute in their list AFI's 100 Years... 100 Stars. 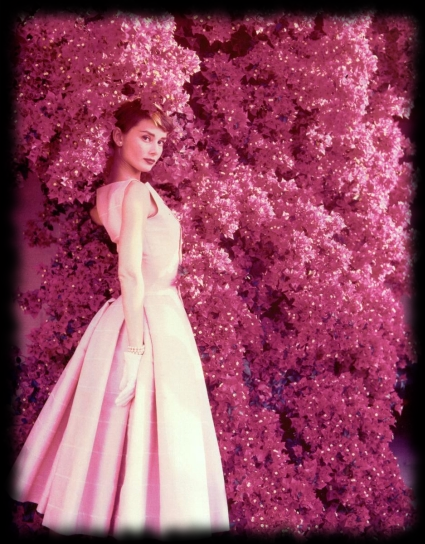 Hepburn had the reputation of being a humble, kind and charming person, who lived the philosophy of putting others before herself. She showed this side particularly towards the end of her life in her work for the United Nations Children's Fund (UNICEF). She has often been called the most beautiful woman of all time, most recently in a 2006 poll for New Woman magazine. She was ranked as the third greatest female star of all time by the American Film Institute.